f/5.6 , @1/2500 , ISO - 2500.
a beauty in the take off shot patience, well done HIMADRI. Excellent! 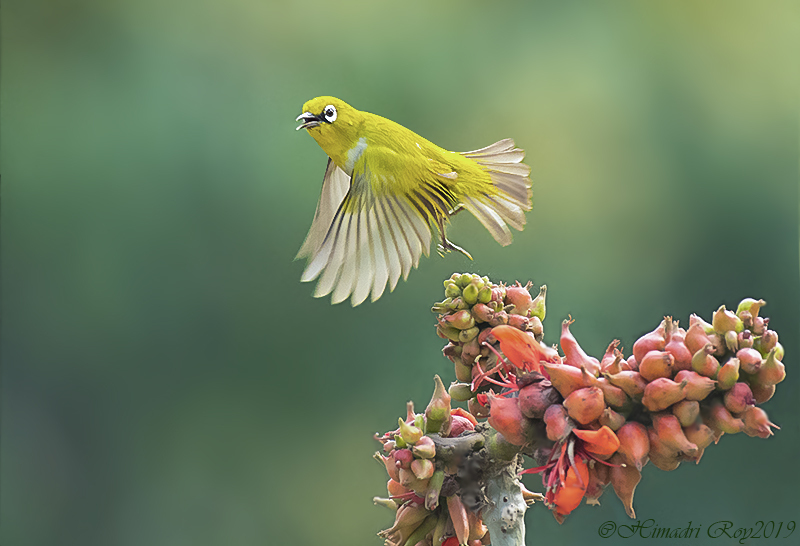 Love the plant and the bird's take-off pose. Nice light-impressive at IOS 2500! Awesome takeoff pose — the wings are beautiful. However, the head turn and open beak make the image for me, just wonderful. Nice framing and timing here. Excellent colors and BG. Great moment captured, love it!!! beautifully done Himadri. Such a gorgeous bird! Killer take off shot! Congrats. Brilliant action capture of the take-off, Himadri!